"... perfect repertoire for the ACO and its leader, Richard Tognetti, a modern day virtuosic Vivaldi." "Album of the Week ... the playing is bold and vividly pictorial throughout, from the icily incisive opening of Winter to the sultry and languid Summer." "Four Stars ... the standard of performance in terms of articulation, phrasing, rhythmic zest and instrumental balance is well up to the Australian Chamber Orchestra’s high level, but there is an extra dimension of imagination and individuality here that more than justifies adding yet another Seasons to the well-stocked shelves." 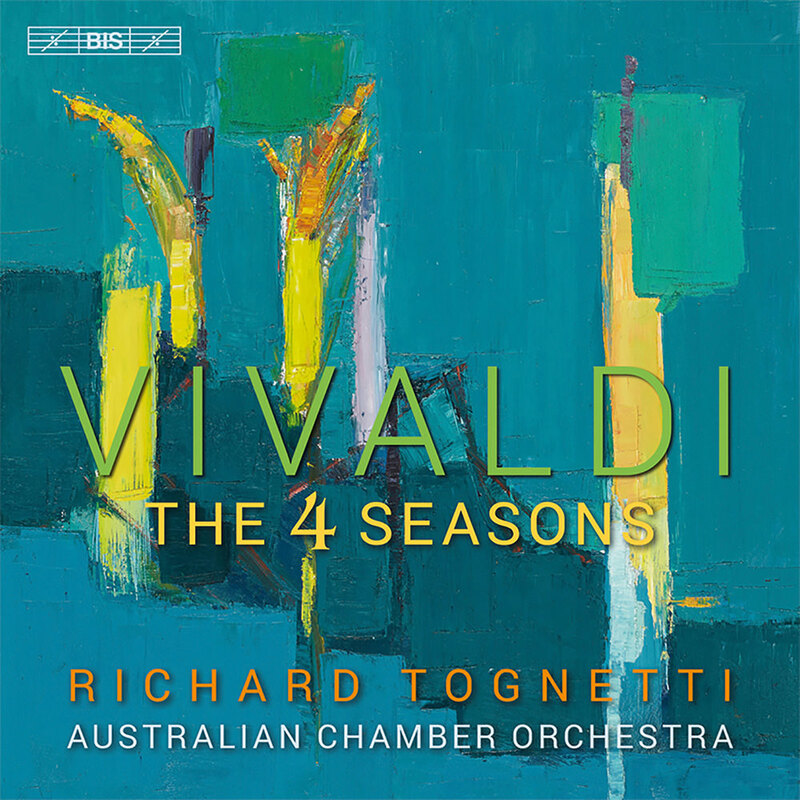 Richard Tognetti and the Australian Chamber Orchestra, a team internationally recognized for its virtuosity, energy and individuality, presents this interpretation of Vivaldi's springtime bird song, summer thunderstorm, autumn hunting and chattering teeth of icy winter. The programme also includes two concertos from L'estro armonico, as well as a Sinfonia for strings originally intended as the overture of Vivaldi's opera La verità in cimento. Equipment: BIS’s recording teams use microphones from Neumann and Schoeps, audio electronics from RME, Lake People and DirectOut, MADI optical cabling technology, monitoring equipment from B&W, STAX and Sennheiser, and Sequoia and Pyramix digital audio workstations.